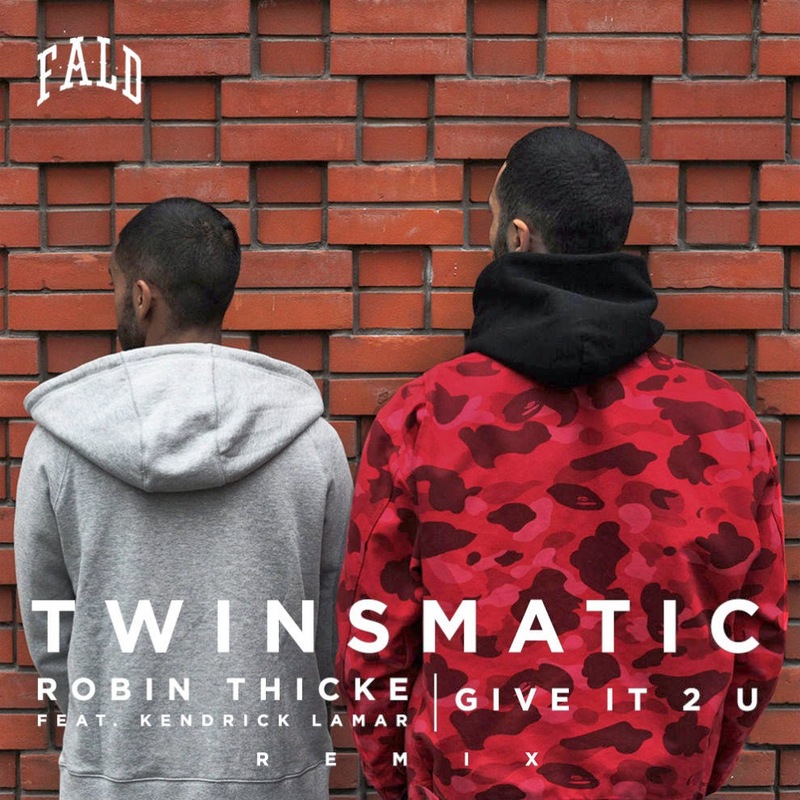 The first time I heard of production duo TWINSMATIC was their remix of Lana Del Rey and now the pair is back with their take on Robin Thicke's "Give It 2 u." It still keeps those sexual and smooth vibes of the original, but they step up the tones a bit and add more cool trap elements. The high pitch falsetto and the rhymes of Lamar are perfectly comfortable over the beat making this an easy-on-the-ears type of listen. Stream it below.